The ‘ICE ON WHYTE’ Festival in Edmonton begins today and runs until February 1, 2015. 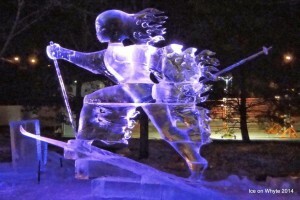 The festival features an Ice Carving Competition, a Kids’ Zone, skating, live music, a Giant Ice Slide and much, much more. Go out, enjoy winter, and PLAY!